In 1939, the first television sets became available to American consumers. Only a few decades later, television’s stylistic conventions have become a very familiar, virtually omnipresent part of the American cultural landscape. But in the late 1940s and early 1950s, the language of television was still being invented. Inspiration came from a variety of sources. 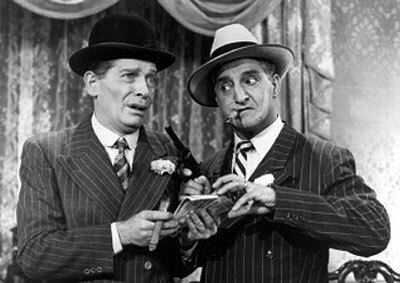 Comedy programs such as “The Jack Benny Show” and “The Goldbergs,” dramatic anthologies such as “Kraft Television Theater,” quiz shows such as “Name That Tune,” and variety programs such as “Arthur Godfrey and His Friends” borrowed heavily from popular radio formats. Other early programming addressed the medium’s place in the home. “Photographic Horizons,” for example, posed models for viewers to photograph off the television screen. Still other early television programs self-consciously experimented with the expressive capabilities of the medium itself. Certain special effects on “The Ernie Kovacs Show,” for example, drew the audience’s attention to both the limitations and the possibilities of early studio equipment. With the occasional exception of shows such as “Garroway at Large” (which was produced in Chicago) and “Dragnet” (which was filmed in Hollywood), early network television emanated from the studios of CBS, NBC and ABC in New York. Until 1955, the DuMont Television Network also broadcast to a number of cities across the US, including Los Angeles. The UCLA Film & Television Archive has an extensive collection of early television programming. In addition to network programming, the Archive’s DuMont holdings include “Calvacade of Stars”—which introduced Jackie Gleason’s “The Honeymooners”— and “Captain Video,” television’s first science-fiction program. The Archive also maintains a large collection of local television programs such as “Help Thy Neighbor,” a call-in show for Angelenos down on their luck, and “The Continental,” which featured a host who addressed his audience as if they were in-house drinking guests.